I feel like doing a ‘monthly favourites’ blog post is such a stereotypical blogger thing, but I’m going to just roll with it for now! So here’s my monthly assortment of things I’m liking at the moment – enjoy! 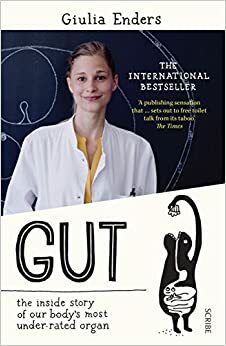 I’ve just finished ‘Gut’ by Guilia Enders, and I was a huge fan! It was such a page-turner – something I never thought I’d say about a book solely about the GI tract! The gut microbiome is a topic I’m fascinated by (I have wild hobbies, okay? ), so I was a little wary of the book being too basic to be of value. I’m happy to say, I was very much mistaken! The book explains the basics of the gut really well, but also goes into more detail on lesser known aspects of the role of gut bacteria. I learnt so much from the book – everything from why the stomach rumbles (I’ve always wondered), to the role of gut bacteria in reducing cholesterol. To top it all off, the book somehow manages to be funny and entertaining too! I’s highly recommend it to anyone interested in nutrition and health – well worth a read! I’m going through such a smoothie phase recently, and seem to have one pretty much everyday! There’s nothing better than a really thick, ice-cream-like smoothie – well maybe except for actual ice-cream, but I can’t eat Ben and Jerry’s everyday! I usually add frozen banana to my smoothies to make them thick, creamy, and delicious, but I don’t always have frozen banana on hand to use. Banana can add a fair amount of carbs to a smoothie too (approx 20g for an average banana), which I don’t always have the macros to fit in. After seeing a few people on Instagram mention xanthan gum as a thickener, I decided to pick some up and give it a try. I’m totally obsessed! I still think it’s basically magic – less than half a teaspoon can add so much thickness to a smoothie. I still am working out the optimal amount to add – too much and it goes a bit gloopy (though still grand, in fairness). Even if I’m just having a protein shake at home, I’ll add unsweetened almond milk, ice and a little xanthan gum into the blender with my protein, and voila – a thick shake, with only marginally more calories! 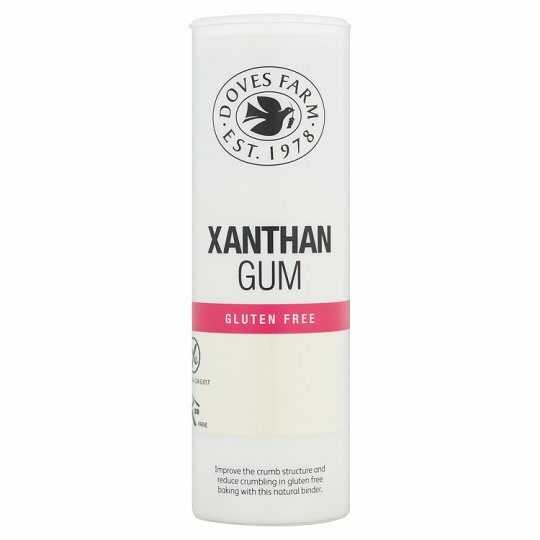 Most supermarkets and health food shops stock xanthan gum, as well as loads of places online, like MyProtein (I swear they should sponsor me for the amount I mention them, alas no). Try it and let me know how it goes! Lately I’ve gotten really into going for walks and listening to a podcast – basically I’m trying to be @grenadejay! I’m nearly finished all the Sigma Nutrition Radio podcasts (6/134 left to go), which means I’ll soon have to find a new show to latch onto! The next one on my radar is Phil Graham’s ‘Elite Muscle Radio‘. I’ve listened to quite a few of Phil’s shows, and am very impressed so far. I was wary initially, as I wasn’t a huge fan of the first episode, however he changed the format of the show after the first few, and I love it now! He interviews a wide variety of people in the health and fitness industry, and provides evidence based information in an easily understandable manner. Whether you’re a personal trainer/coach, or just a nerd when it comes to fitness and nutrition (aka me), it’s a really valuable resource! I’ve been following Gary (aka SkinnyGaz) on social media for a while now, and can genuinely say I have got so much value from his content. He’s studying physiotherapy in college, and is just an all-round knowledgeable guy when it comes to training and nutrition. He does Q&A’s on his snapchat pretty much daily, which is such a great opportunity to get all your burning questions answered! A little warning though – if you currently consider yourself a hard-worker, following Gary may make you rethink this. It certainly made me realise that I’m not working even a fraction as I thought I was! And I’m pretty sure if I’d had all the knowledge I’ve gained from watching his snaps when I first started lifting, I wouldn’t be crippled with so many injuries now! So if you want to follow someone who’s inspiring, informative and knowledgeable AF follow @garymcgowan1! That’s all for this month – let me know if you found this post helpful, and I’ll keep doing them! Disclaimer: I am in no way affiliated with any of the people or products mentioned above, these are just my honest opinions. Oh my God, I have 6/134 Episodes of Danny Lennon left too. Am trying to ration them. Thanks for suggesting a suitable substitution! That’s such a crazy coincidence! I’m not sure any podcast is as good as the Danny Lennon one, but this one’s close!